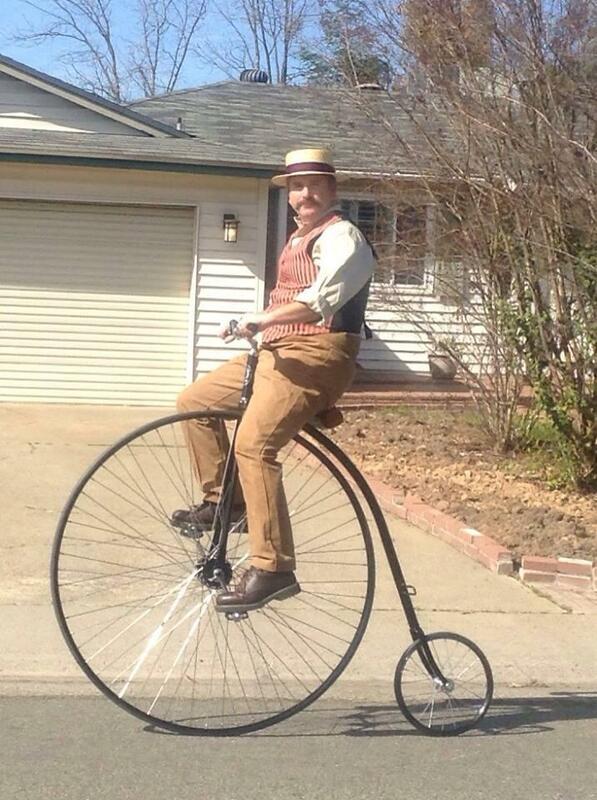 California denizen, John Erickson, displaying his balance and pedaling prowess on a modern reproduction of a penny-farthing. Mr. Erickson has enhanced his look with a Straw Boater and striped Sacramento Vest. 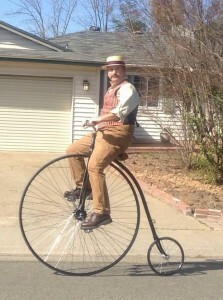 Penny-farthings (aka High Wheels) can sometimes be seen in 4th of July and Founders’ Day Parades, but did you know there are also races for vintage bikes? If this inspires you, there is still time to get ready for the Clustered Spires High Wheel Race in Frederick, MD in August. If you have pictures and a story to share, we would love to see it. Please contact us here.